Welcome to our image gallery featuring several unique and clean kitchen design ideas that will inspire your decor imagination. 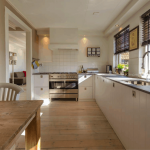 With a variety of cabinet and countertop colors and material (white, dark, solid wood, laminated etc), you will find a multitude of interior kitchen ideas for your own home. 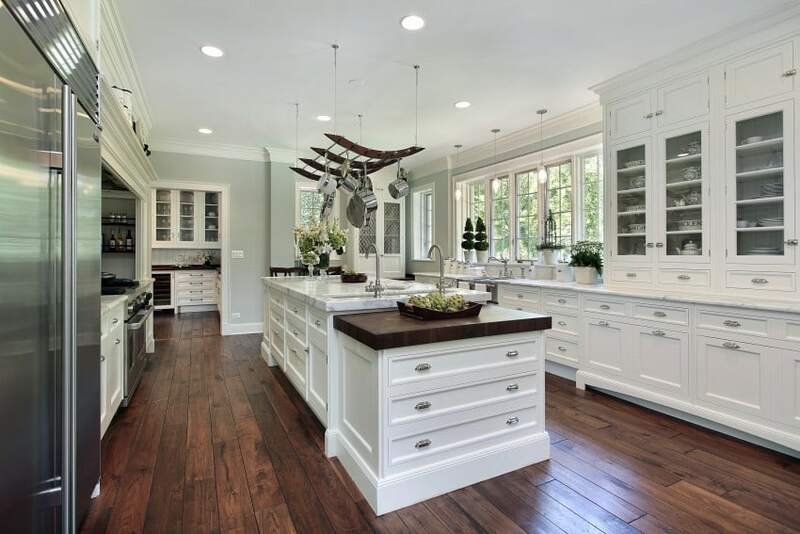 One way for a kitchen to really stand out is the use of stunning colors, such as green, cherry, red or blue in the design, but color is not the only characteristic – circular countertops, glass tables, solid wood cabinets etc can easily add class to any kitchen. 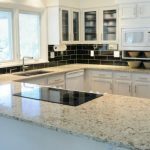 While countertops are available in a wide array of materials, granite appears to be the most popular, while glass tables are added for the additional appeal. 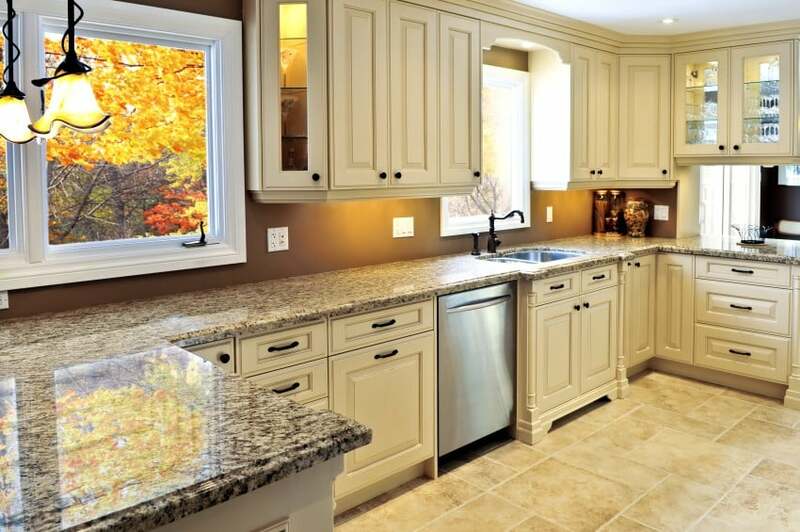 Granite countertops will last for a long time, add a nice reflective touch to the overall kitchen and are easy to clean. Not only do these kitchens feature unique and clean designs, they are also a great way to add an extra appeal to your overall home. There are some amazing examples of how to include various accent colors throughout your kitchen, without making it look tacky. 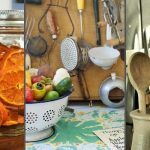 These pictures will also show you how to use kitchen décor in your own home, without making your counters look cluttered. An important element of any kitchen setting is a nice and functional kitchen island. 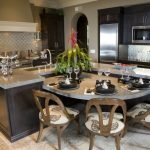 You will find some amazing kitchen islands in this gallery that could help you think of your next design project. 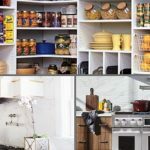 Regardless of the kitchen style you are looking for, we hope that at least one of these pictures will bring out the artistic side in you and help you start thinking of your next unique kitchen design. 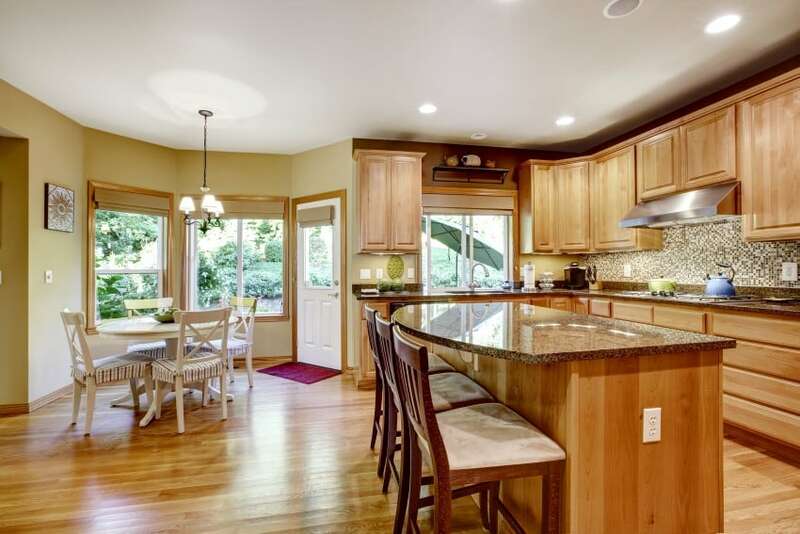 This kitchen, with a beautiful cherry wood cabin contains granite countertops and modern appliances. It utilizes the beautiful cherry wood color scheme and has just the right amount of lighting to make the design pop. Every contemporary home needs a beautiful cozy kitchen. This kitchen uses white-themed cabinets and dark counters. The white counters make the space look clean and open – the black counter-tops break up the white, making for the perfect setting. The chandelier adds an extra appeal. 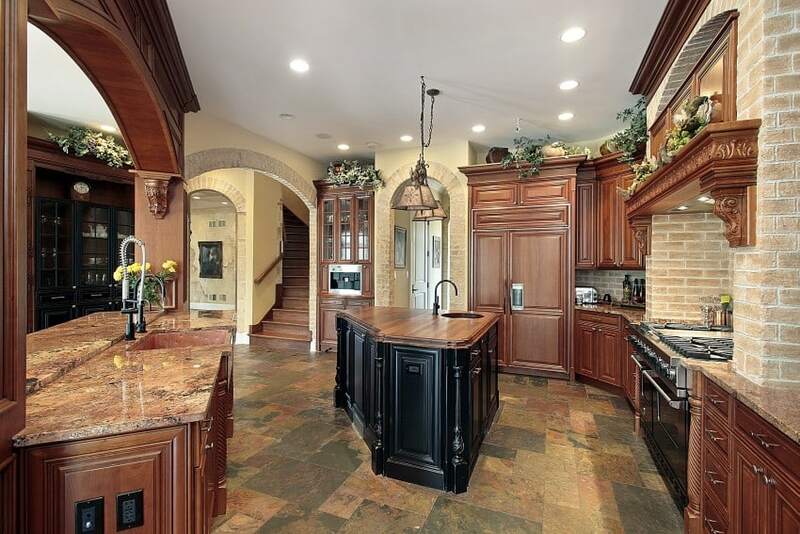 This is a classic kitchen design. Basic color is brown with specifics in white. The stove cooking area is slightly subdivision and resembles a fireplace. 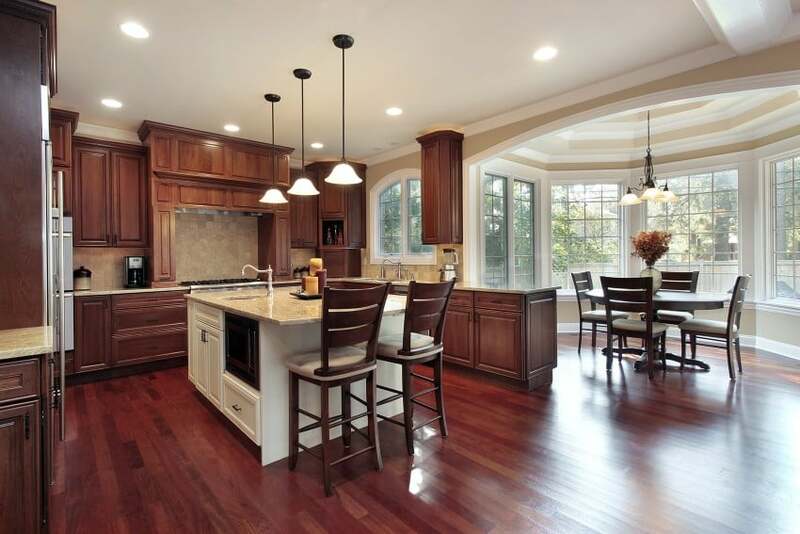 The kitchen is spacious since it consists of high and low kitchen cabinet units. The kitchen island stands out because of its different color which suits perfectly with the interior. 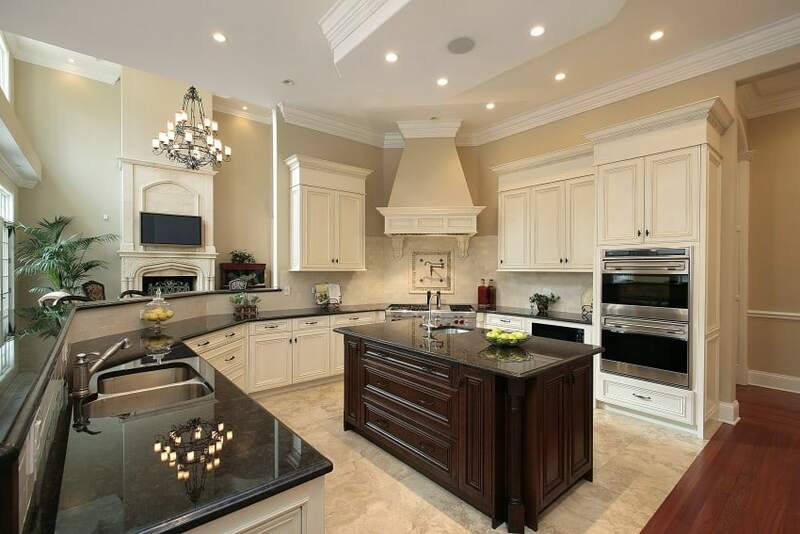 This beautiful and exquisite kitchen has many features. The shape is very different from other cuisines. Its manufacture is very precise with many carved patterns and a combination of round and flat handles. The island stands out because of its unusual shape as well as the black color which is a perfect match with a cherry background. 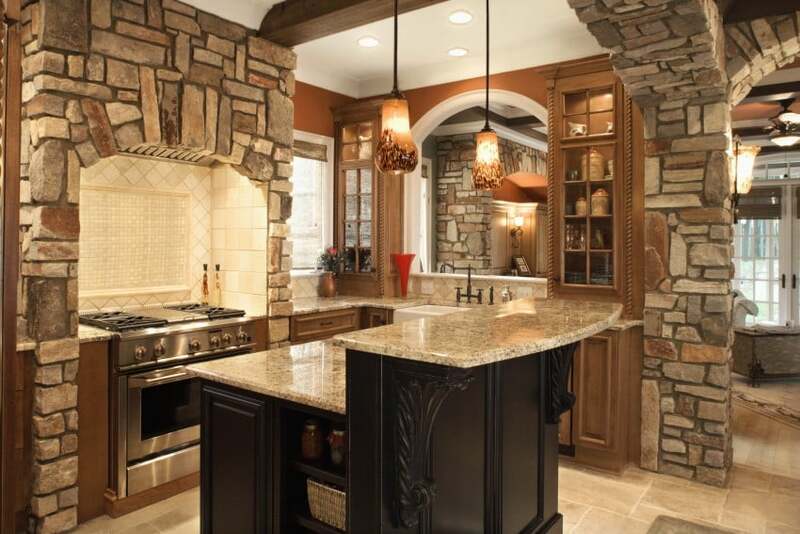 This stunning kitchen adds an extra appeal to the home with the stone walls. 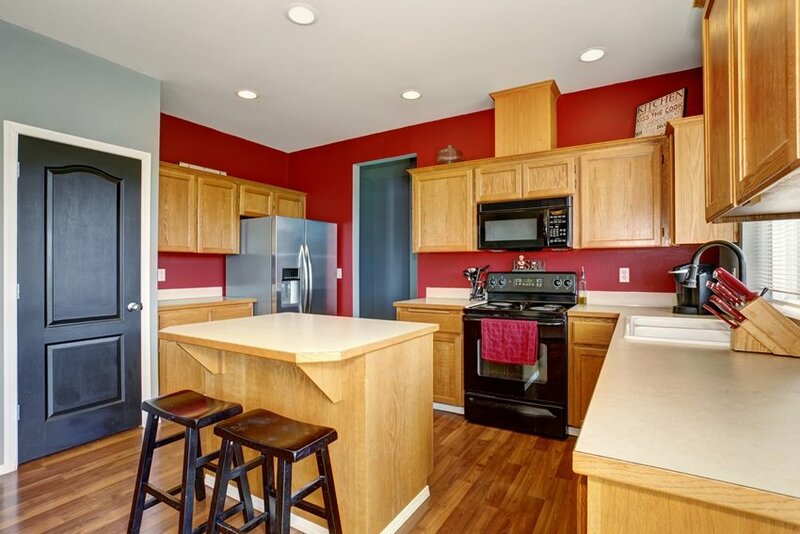 The granite countertops soften the room, while the cabinets give it a unique look and feel. This kitchen shows that even small areas allow you to create a functional kitchen design. The island in the center can be used both for dining and also as a storage space by creating cabinets on one of the sites. The red wall creates a nice contrasting flair with the white ceiling. Another great idea for small functional kitchen design. The hanging pot rack is an excellent storage-saving idea since you don’t need extra space elsewhere to store the bulky dinnerware. 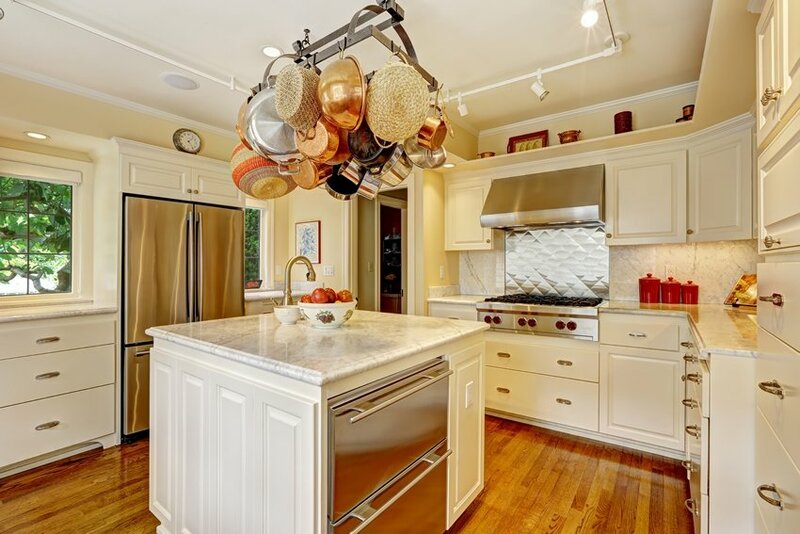 I love the granite top island equipped with a sink to save space as well. Hardwood flooring adds an extra appeal to the whole room. The classy wood floors and unique lights complement the island countertops, while the white cabinets, walls and ceilings really make the kitchen stand out. The extra space in the kitchen makes for a comfortable setting. A beautiful light brown kitchen made of real wood with a granite worktop. It has large spacious drawers and cupboards without disturbing handles. The kitchen island is also made of wood and gives this kitchen a special charm just as the beautiful cut details on the cabinets. 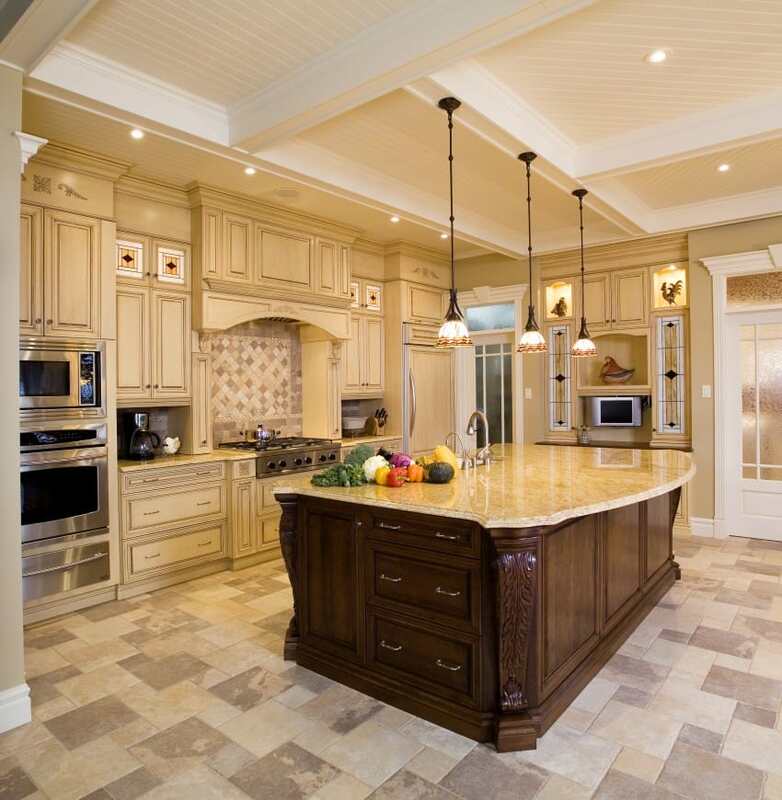 This luxury beige kitchen has a large kitchen island in dark brown contrast. 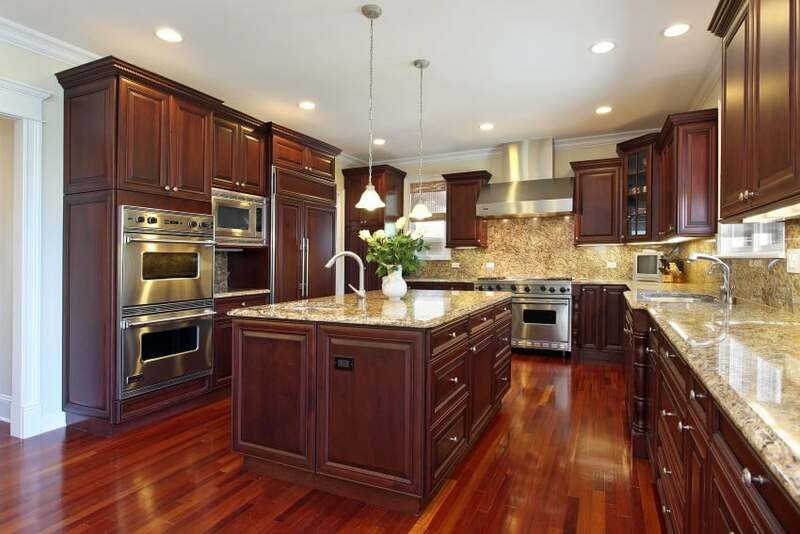 It has wonderful crafted cabinets with carved ornaments and is a real eye-catcher. The air-ventilation over the stove even further emphasizes the beauty of this cuisine. Each of the long drawers has two beautifully designed handles. Kitchen counter is made of granite. Take a look at this modern kitchen with a touch of vintage. It has a huge working area in the appearance of marble. Beautiful bright beige color optically enlarges the space. Lower kitchen cabinets are a mix of antique and modern design. The upper part of the cuisine consists of varied combination of single and double cabinets, arches above the sink and a beautiful showcase.